Dzis mamy ogromna przyjemność gościc na naszym blogu Florę - przezdolną projektantkę z Węgier. Flora bardzo polubiła nasze stemple, przygotowała dla Was 3 świetne prace. Hi there! 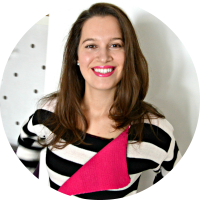 It's Flóra here and I am very excited to be a guest designer on the Studio Forty blog. I recieved the pretty clear stamps long ago from Monika. It was really hard to choose which one the use first, as there are so many possibilities. My first project is a 12x12 scrapbook layout. I am still in Valentine's Day mood so I used many hearts, red & pink on my project. First, I placed few paper stripes on the white cardstock, then I made two string art diamond with matching threads. 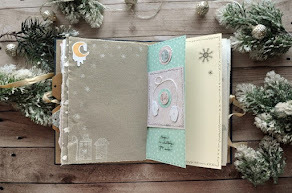 After this I placed my photos, I started to create DIY embellishments with Studio Forty stamp sets. I used the Words in circles stamps with black ink and fussy cut the prints. I also created two title cards using Life is Sweet stamp set. I really like the fonts of the sentiments. After all I adhered stickers from the Cool Words sheet. They are truly cool and love how they cheer up my page. My other project is a card along a handmade matching envelope. I stamped the leaves from Botanicals stamp set on a light green patterned paper. The result is simply stunning. Then, I fussy cut few flowers and gathered them in the middle of the card. For the center I created my title with Life is Sweet stamp set and gold embossing technique. To finish off my project I folded a pink envelope and created a matching insert with Botanicals stamp set. I really hope you like my new scrapbook layout and card and you find inspiration. Thanks for having me as a guest designer today! Happy crafting Studio Forty Fans!